This week, Team Thread Together introduced our low-fidelity prototype to the public to test consumer responses. We began with our colleagues in Design For America, who already had some knowledge of our project. Their feedback brought our attention to elements of our design that we had overlooked, such as that we never explicitly said that our featured artisan was a refugee! The other students also recommended that we focus more on the community of artisans, incorporate more photos, and better integrate our statistic about refugees in Houston into our overall design. After altering our design based on this feedback, we went to the Urban Harvest Farmers Market in Houston to interact with socially conscious customers. 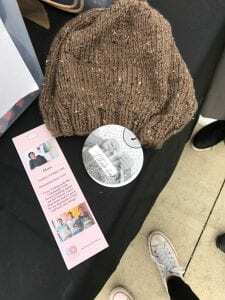 We discovered that people wanted to know what The Community Cloth did even if they were only at the event to shop rather than to get involved with social causes. The photos were very well-received, and some customers suggested that we include even more. All but one customer flipped over the bookmark to see that there was more on the back. A graphic designer who happened to be at the market commented that our design definitely looked “homemade” but that this was a good thing because it brought a human connection to the bookmark, changing the focus from the organization to the people. Our revised bookmark next to a hat knitted by the featured artisan! A customer at the TCC booth at the farmers market. Our tests were very similar to reality, so our results are useful. 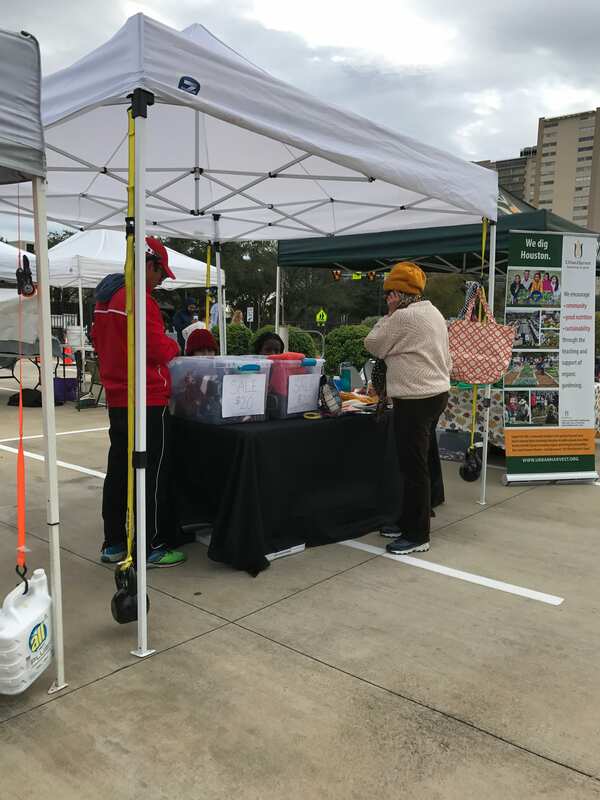 By conducting our test at the farmers market, we saw how our target consumers would respond to our design in the kind of environment in which it would be implemented. We introduced our project simply by saying that we were students working with a nonprofit, avoiding giving customers any hints about what The Community Cloth was all about aside from the information on our bookmark. We noted what questions the customers still had after interacting with our design. The next step will be to modify our design again based on the responses of the farmers market customers and to test this revised design on more consumers.